How To Help With Anxiety in Dogs? Can I Give Sleeping Pills for Dogs? Countless household dogs out there experience one painfully present, constantly weighted issue throughout the day. Not only does this one problem cause never ending discomfort, it causes our pets too often behave in irrational, unpredictable ways. This ever present ghost has one name: Anxiety. Find out how sleeping pills for dogs can help with it. 5. Is NyQuil Ok for Dogs? Not to worry; there are simple ways to treat this never ending problem! After consulting their veterinarians, many owners will offer their dogs sleeping pills to help them relax and get through the day comfortably. There is one simple fact, when it comes to these over-the-counter medications: they were designed for humans. Thankfully, a dog’s body works very closely to a humans! The point here is – no matter the drug, no matter how mild it is or what you’ve heard. You should always contact a veterinarian before giving it to your pet. Though in 99% of cases, your dog will be fine and the sleeping pills will work perfectly. There are always possible side effects and contraindications. Rule #1: Always ask your vet before giving any pills to your dog. Your veterinarian will be able to help you decide what medications are best to use and if those don’t work! 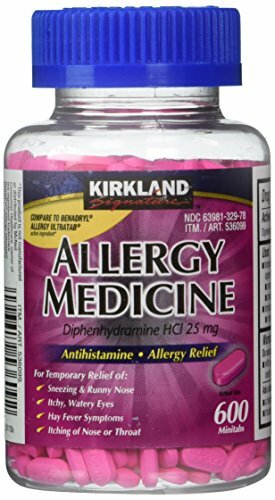 In the example of Benadryl, most popular among the sleeping pills for dogs, the active ingredient is called Diphenhydramine. This should be the only ingredient used. 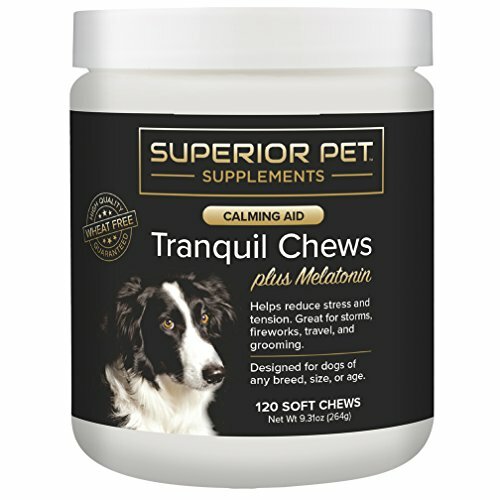 Many anti anxiety/allergen/sleeping medicine aids on the market specially designed for dogs. They will use the exact same ingredient, but hike up their prices 300% because they can say it is ‘designed for dogs’. In reality, you are paying 300% more for a shiny package and a pretty picture of a happy dog. compare the ingredients listed on the package, checking to see if there is a cheaper version with the exact same ingredients. Is NyQuil Ok for Dogs? This is an example of one of the medications people would think nothing of taking themselves or giving to their children. This a perfect example why dog owners should talk to their veterinarians beforehand. NyQuil contains Acetaminophen (Tylenol), which dogs often don’t respond well to and shouldn’t be given. In other words – NO. This is actually an ‘all natural’ drowsiness inducing supplement, and doesn’t contain either Benadryl or Melatonin. The active ingredient here is likely Tryptophan. But you can view all of them on the sales page through the link above! These chewable tablets can be mixed in with bread or peanut butter. They providing an effective form of anxiety relief and helping induce a calm drowsiness. Already naturally produced by our bodies, we know Melatonin is effective! Along with a several other ingredients, this one has both Tryptophan and Melatonin in it, to pack twice the punch! 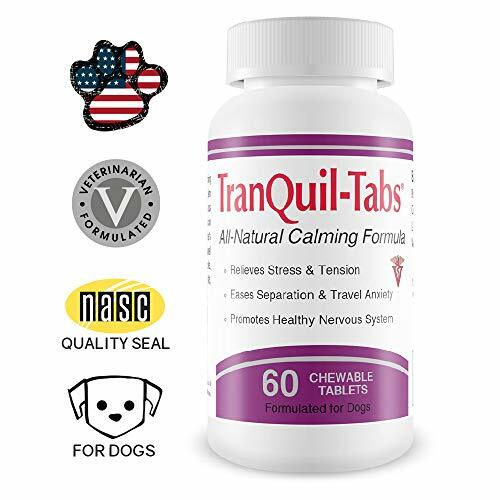 This product is recommended to calm anxious dogs traveling by car, plane or boat. These come in bottles of 600 tablets. Ironically, this is the exact same ingredient as contained in name brand Benadryl, but much easier to obtain! Remember, the recommended dosage is 1 mg per pound of body weight. It is far better to give less than too much; consult your veterinarian before using! 1. How do you make a dog sleep with drugs? Drowsiness is one of the side effects of Diphenhydramine (Benadryl), and usually will have the exact same effect on dogs. Melatonin is a naturally produced hormone partially responsible for regulating sleep/ wake cycles. You can’t ‘make’ a dog sleep with these, but they will help the dog become drowsy and likely promote sleep. 2. What can I give my dog to make him sleep? Beyond tranquilizers, which you must certainly have a license to use legally, you can’t ‘make’ your dog sleep. Many owners either give Benadryl or Melatonin to help their dogs sleep, or help with anxiety problems. Beyond those two, your veterinarian might prescribe a stronger medication requiring a prescription. 3. Can you give a dog Melatonin? Yes, dogs can be given Melatonin supplements. Melatonin is already naturally produced by the body. Too much can be a problem, so always be sure to consult a veterinarian beforehand! 4. How much Melatonin can I give my dog? 5. Is it safe or bad to give dogs Melatonin? 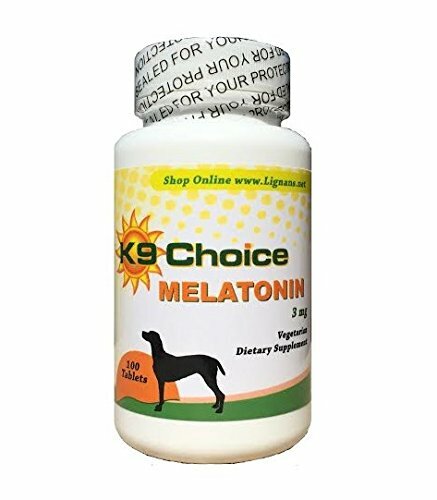 It is perfectly safe to give dogs a recommended dosage of Melatonin after consulting their veterinarian. Too much can be bad, as an overdose is possible and has happened before. This is why you should always consult your veterinarian. 6. What can I give my dog for anxiety? Many owners give their dogs Benadryl to help relieve anxiety. If this doesn’t work, your Veterinarian can prescribe a stronger, mood altering medication requiring a prescription. There are many anxiety relief supplements on top of sleeping pills for dogs out there. All you have to do is look. There is no reason your dog has to suffer through anxiety any longer! Remember to always consult your veterinarian before offering your dog any medications. Can I give these pills for puppies? The responses of the owners of the puppies that gave these tablets are contradictory. They helped one, others – negatively speak about their help. I strongly recommend contact your veterinarian before giving the pills to your puppy.